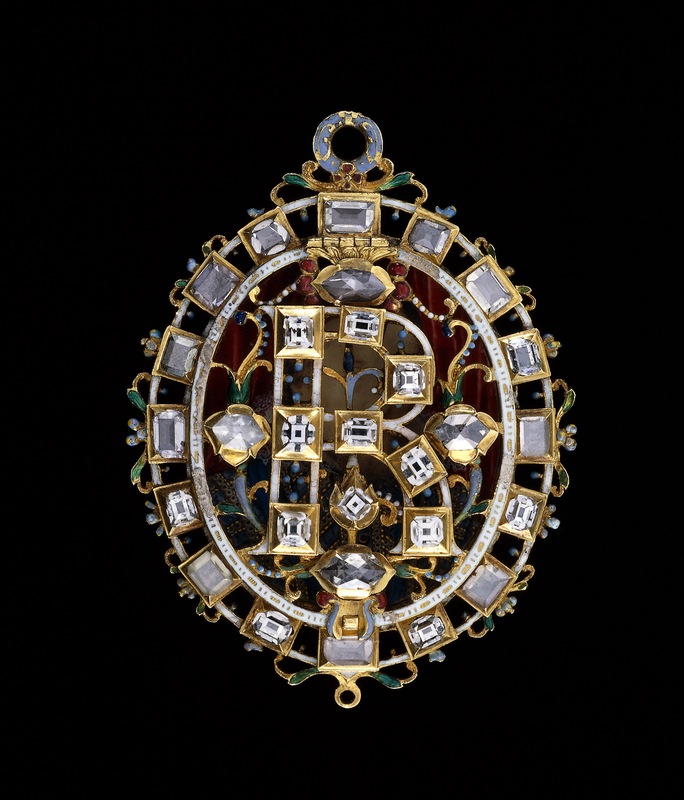 The locket contains a portrait by Nicholas Hilliard of James VI and I of Scotland and England. It was given by James to Thomas Lyte, author of a pedigree tracing James’s ancestry back to Brute, the mythical Trojan founder of the British nation. It promoted James’s rule as ‘King of Great Britain’, and the pedigree was displayed at Whitehall Palace. Lyte’s own copy of the pedigree survives in the British Library. This object was previously owned by E Joseph, William Alexander Louis Stephen Douglas Hamilton, Laura Dunn Monypenny, Silvestra Monypenny and Thomas Lyte, and collected and bequeathed to the British Museum by Ferdinand Anselm Rothschild.